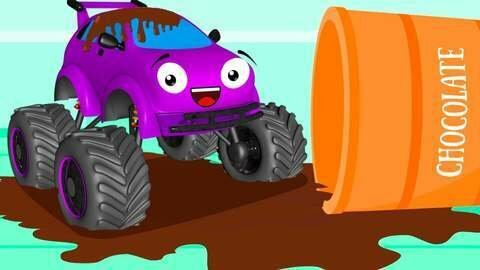 Welcome to SeeZisKids, where you will find a new car cartoon for boys! The Playful Monster Truck wanted to make fun of the sleeping Police Car and tied balloons to it. But in the end, the police rose into the air, and the joker bathed in chocolate. Watch online for free full episode from the collection of the best cartoons for children!